After letting Ryan wade around for a bit, TechRax decides to up the ante with his signature destruction of a piece of tech. The unlucky electronic in this case: a DJI Phantom 4. The drone is billed as having “visionary intelligence” and “elevated imagination,” but neither seems to be enough to withstand a bunch of Coke. 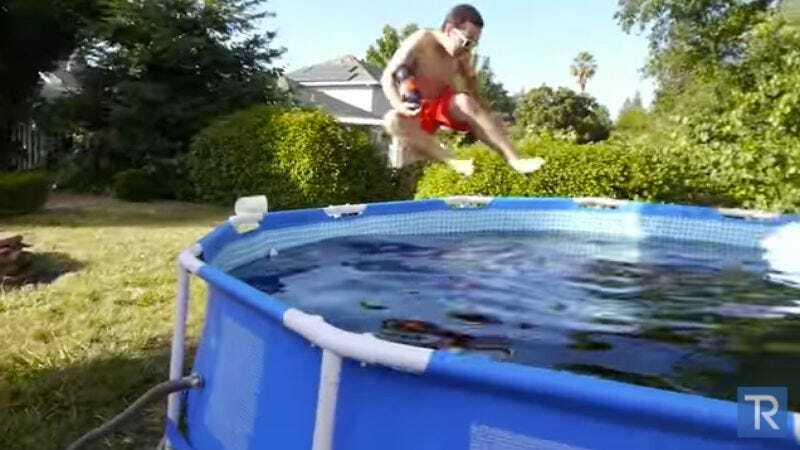 After about 10 seconds of steady flight, the drone slams into the side of the pool and struggles as the battery starts to drown. A few more mere seconds pass before the drone meets a watery (so to speak) end.